Physical activity is a world-wide recognised health topic. Individuals and health professionals are becoming increasingly aware of its benefits as well as the implications faced through inactivity. Along with the physical benefits research has shown physical activity to have a positive impact on individual’s mental health. People with mental health disorders experience higher rates of disability and mortality, further research in this area is required. 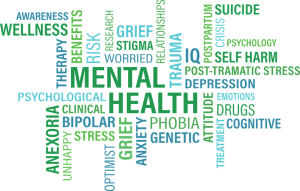 The World Health Organisation (WHO) define mental health to be; ‘A state of complete physical, mental and social well-being, and not merely the absence of disease’. Looking specifically at mental disorders the World Health Organisation (WHO) define this to be; ‘A broad range of problems, with different symptoms’. NICE (National Institute and Care Excellence) guidelines suggest that the most common mental health disorders range from depression to anxiety disorders. These conditions are recognised as ‘common’ as they affect more people than any other mental health conditions. 1 in 4 people in the UK experience mental health problems in any year. Studies have been found to show the positive impact physical activity can have on individuals overall mood. Levels of a neurotransmitter called serotonin which affects mood are shown to increase following exercise. This rise in serotonin is suggested to help prevent the development of some physical or mental disorders. Physical activity is shown to improve levels of self-esteem and acceptance. Studies suggest patients should participate in activities which have low levels of stress and competitiveness to help improve their psychological well-being. 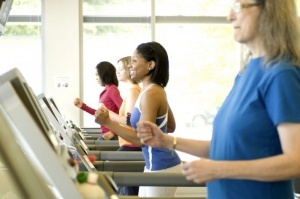 Evidence shows that exercise is effective in improving depressive symptoms. Aerobic exercise, resistance and strength training have been found beneficial in improving an individual’s condition. Physical activity is reported to have effects in both clinical and non-clinical settings. A greater improvement is recognised in a clinical environment with those suffering with serious mental illness. Participants of physical activity benefit from improved cardiovascular and muscle fitness. Maintaining bone strength and aiding functional health. It can reduce individual’s risk of developing several conditions such as hypertension, chronic heart disease, stroke, diabetes, breast/colon cancer and depression. There are numerous hypotheses that attempt to determine the mechanism of effect of physical activity on mental health. These can be identified as being psychological or physiological. Research on the hypotheses is limited and it is thought that the true effect is though a combination of psychological and physiological mechanisms. Distraction thought to be achieved through individuals moving away and diverting themselves from stressful stimuli which in turn achieves the improved affect associated with exercise. Many people find physical activity to be challenging. By getting into a routine involving physical activity individuals mood and self-confidence will improve. This is thought to be where exercise increases the availability of neurotransmitters in the brain. Research is limited in this area. Physical activity releases endogenous opioids. 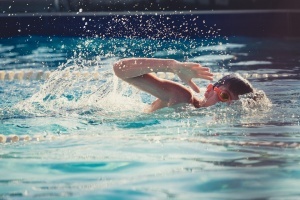 Physical activity positively impacts common mental disorders and depressive symptoms through the increased release of beta endorphins following exercise. Endorphins are connected to a positive mood and an overall greater sense of well-being. Thermogenesis relates to the production of body. Physical activity increases body temperature. Exercise is thought to release a greater sense of relaxation and improved mood. Even with knowing the benefits of physical activity and how it can improve lives, many people still face barriers preventing them from doing it. Barriers can be recognised as either physical, psychological or socio-ecological. We all put up barriers to exercise even when we are aware of the potential benefits. Those suffering with mental illness are no different, however there are additional factors that may prevent an individual engaging with physical activity. Physical image - Specifically regarding, excessive body weight. Susceptibility to gain weight may not be from inactivity but can stem from medications. Fatigue - Evidence has identified that tiredness and fatigue can be due to medications. Environment - People fear they will be recognised by others in their neighbourhood or community for their mental disorder and fear stigmatisation. Those with common mental health disorders are found to have symptoms which reduce the likelihood of physical activity. Side effects of medications can also be a barrier to physical activity. 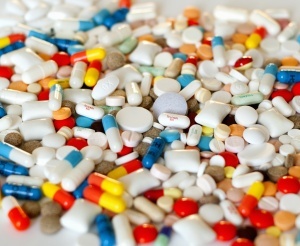 There are a variety of different medications individuals can take for their mental health conditions; antidepressants, anti-anxiety, stimulants, antipsychotics and mood stabilisers. Possible side effects associated with medication are: nausea, vomiting, weight gain, sleepiness, loss of appetite, headaches and blurred vision. Both typical and atypical drugs are identified with affecting certain neurotransmitters within the brain which can cause individuals to increase in weight. Determining the correct medications for individuals can sometimes be a long process especially when trying to identify doses. In several cases individuals report being in periods of sedation this increases times of physical inactivity. Cogntive behavioural therapy (CBT) is a form of talking therapy which helps individuals change the way they think and what they do. It is shown to have positive effects on a variety of mental health disorders. The approach is split into 5 areas; situation, thoughts, emotions, physical feelings and actions. This therapy can stop the negative cycle many individuals may find themselves in and allow them to manage their conditions better. Many individuals with depression find their behaviours relate to increased time of inactivity, this in turn can lower mood. CBT therapy can help alter behaviours and see an increase in levels of physical activity by doing things which are likely to bring about pleasure and feelings of achievement. Information provided directly to individuals through signs. These are generally found in stairwells or next to elevators. These signs can be motivational, educational and inspirational. Communities are engaged to take up exercise through media, activities and other strategies. Support groups and risk factor screening are employed by community projects. 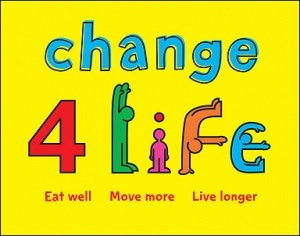 Campaigns use media, television, radio, cinemas and the internet to encourage physical activity. Interventions conducted in an educational environment such as school, university or work. These classes attempt to educate individuals about the importance of physical activity and the implications of being inactive. A number of different tools/interventions have been developed to help tackle physical inactivity. Determines an individual's thoughts around physical activity and what they currently do. If individuals show acceptance to increase physical activity to determine if either brief advice or intervention are implemented. Those who are not ready are given information through physical activity leaflet. Following Scot-PASQ screening health professionals can use to this pathway to provide advice or implement an intervention to help encourage inactive individuals to increase the level of physical activity they complete. This framework is for individuals with psychosis who are taking antipsychotic medication, it helps to recognise any risk these individuals may have with cardiovascular and type 2 diabetes. These groups see individuals 50 years and older compete in football. The walking style of the game allows those with even mobility issues to take part. Improves both physical and mental health. Aims here involve improving individuals self-esteem, work within communities help develop social inclusion and see that recreational facilities are equipped to support people with mental disorders. Scottish Mental Health Association are working to educate leaders to become more informed in mental health and be able to publicise how exercise can improve individual’s mental health. A programme which has been developed involving Scottish forestry. Those individuals who use mental health services can attend a 12 week course in which physical activity is encouraged. Individuals learn about conservational work and bushcraft techniques. Skills such as photography are also developed. The Motivate2Move website, created by Wales Deanery, has a comprehensive section on physical activity and Mental Health. ↑ Hofmann SG, Asnaani A, Vonk IJ, Sawyer AT, Fang A. The Efficacy of Cognitive Behavioral Therapy: A Review of Meta-analyses. Cognit Ther Res. 2012;36(5):427-440.